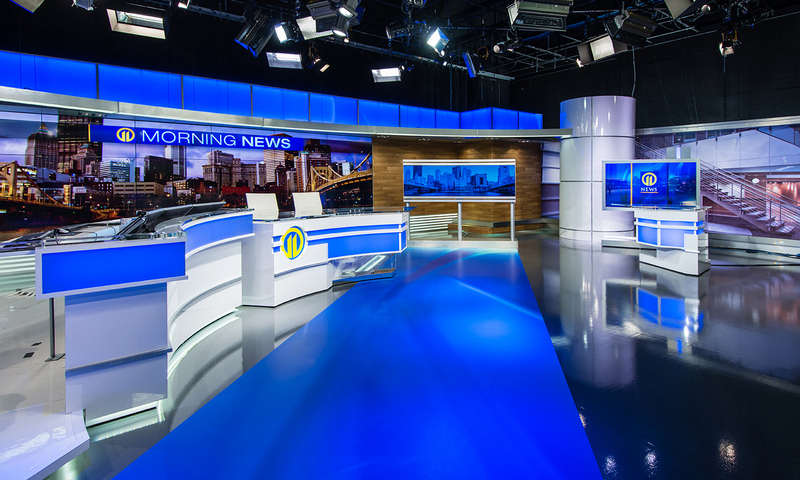 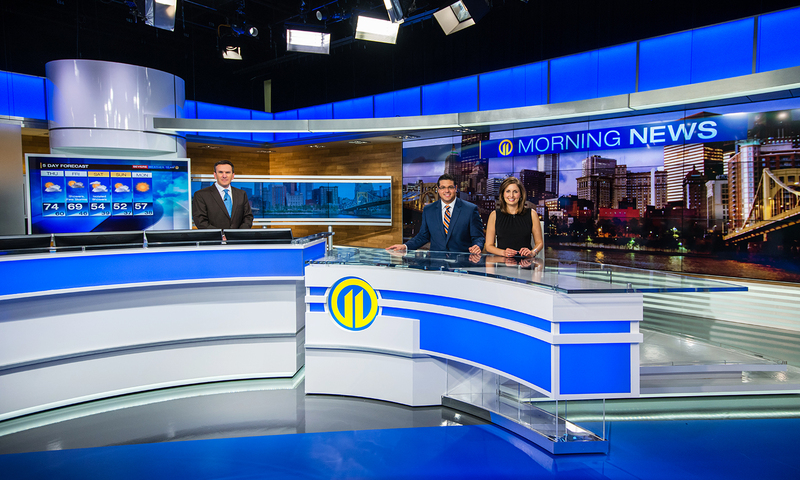 WPXI, a top NBC affiliate and a premier source for news, weather, and sports reporting in Pittsburgh, is well-known for reporting with a sense of urgency — for keeping its viewers as updated as possible. 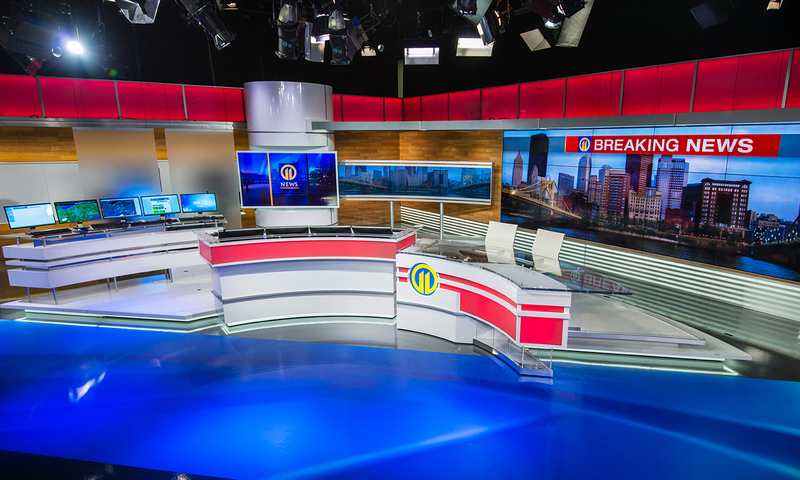 This sleek new studio complete with a microbezel monitor vista and dedicated weather area keeps the WPXI team on that critical edge. 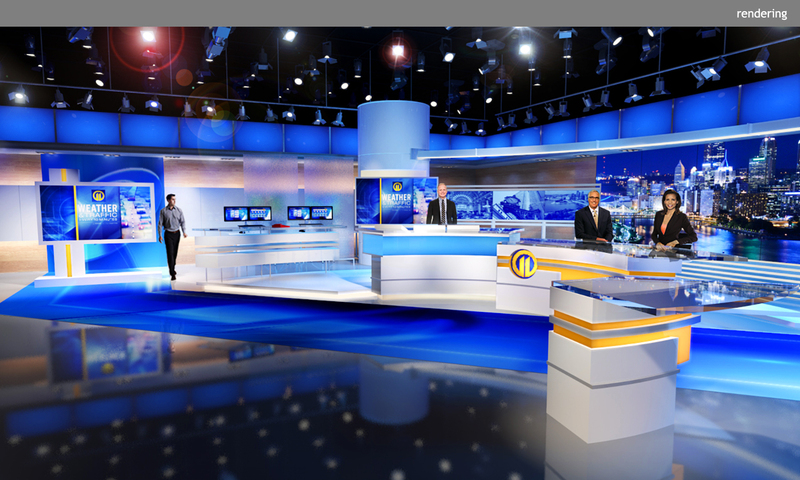 The studio’s dynamism is accentuated by a dominant, angled axis and mulitple color-changing LED features.